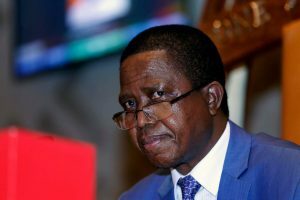 President Edgar Lungu has appointed Simon Miti, as Principal Private Secretary at State House, a position which has since been elevated to Deputy Secretary to the Cabinet. Miti has been serving as Permanent Secretary in charge of Administration at Cabinet Office and takes over from Mr Francis Chalabesa who has retired after expiry of his contract. The President has also appointed Patrick Kangwa as Deputy Secretary to the Cabinet in charge of Administration at Cabinet Office. Until his appointment, Kangwa was National Coordinator at the Disaster Management and Mitigation Unit under the Office of the Vice-President. He takes over from Peter Kasanda who has retired following the expiry of his contract. At the Disaster Management and Mitigation Unit, the President has promoted Head of Research and Planning Yande Mwape as National Coordinator. And the President has promoted Director for Performance Systems at the Management Development Division under Cabinet Office, Mabvuto Sakala as Permanent Secretary for the Ministry of Higher Education. Sakala takes over from Owen Mgemezulu who has since been transferred to Cabinet Office as Permanent Secretary in charge of administration. Meanwhile, President Lungu has appointed Alfreda Kansembe Mwamba as Ambassador to the Federal Republic of Brazil. The President has also appointed Anthony Mukwita as Ambassador to the Federal Republic of Germany. Mr Mukwita has been serving as Counsellor at the Zambian Mission in Sweden. The appointees will be sworn-in by the President in due course. This is according to a statement issued by presidential spokesperson Amos Chanda on Thursday.